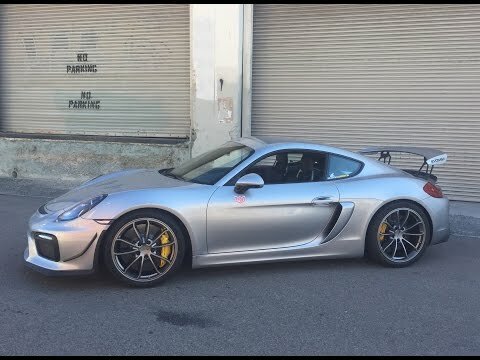 The Porsche Cayman GT4 in many ways is the best high performance car for the street. It has plenty of usable power with 385 horses, is fairly lightweight by today’s standards, the engine is in the middle and it has suspension parts from the 911 GT3. The Cayman GT4 provides a race car for the street experience that doesn’t need a track to enjoy. For those fortunate enough to buy the GT4 before it sold out (and not including the massive dealer markup), for about the price of a base 911 Carrera, you could get the GT4 with 35 more horsepower, mid-engined balance and more aggressive styling. Yes, the Cayman GT4 is an excellent car, but can it be made just a bit better? The Porsche Cayman GT4 just may be a perfect car. It has suspension components from the track tested 911 GT3, an engine from a 911 Carrera S and a six-speed manual transmission all in a mid-engined package. The GT4 is perfect for track days, weekend drives on a winding road or a daily commute. The styling gives a hint that this is not a normal Cayman in the same way a GT3 separates itself from Carrera. But can it be even better? You may or may not have heard of Alex Ross, but you have probably heard of Porsche tuner Shark Werks. Alex is the co-owner of the high performance company. 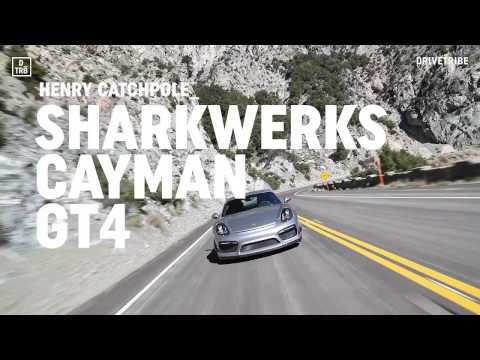 Even if you haven’t heard of Shark Werks before, you have likely seen them on Jay Leno’s Garage. They have been on the web series a few times, the most recent being about a Porsche 911 GT2 RS (997) project collaboration with Magnus Walker. Click past the jump (or scroll down if you came directly to the full article) to read Alex’s answers to our questions. Recently, we had an opportunity to talk to well known Porsche enthusiast Magnus Walker. We asked him a few questions and he was kind enough to give us his thoughts. As you’ll see through his answered he is a Porsche guy through and through. Us: How did you get into building Porsches? Magnus: I fell in love with Porsche as a 10 year old. At 25 I bought my first 911 and that started me down the road to owning more than 40 911s. It was a lifelong love of everything Porsche that brought me to start building my cars in 2008 and I tried to add my own personality to each build. I didn’t want it to just be another 911 RS clone. The great thing about Porsche is it is very easy to get into. Hit the jump to read more of Mr. walker’s answers, including his thoughts on the Singer 911.